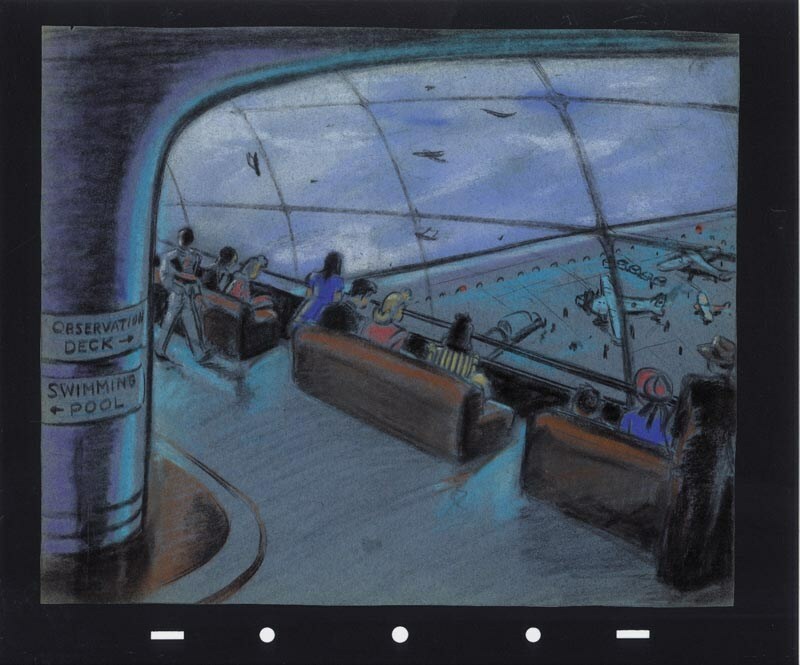 This is an original concept drawing from the Walt Disney Studios film, Victory Through Air Power. Some consider his film to be Disney’s most ambitious and well-known wartime film, as it was nominated for an Academy Award. This concepts features imagery of a large,futuristic amphibious aircraft carrier plane, and was created at the studio and used in the development of the film. The drawing is accomplished in pastels on black paper with the image measuring about 9" x 10" on 10" x 12" paper. The concept is in very good condition with pegholes in the corners, as is standard for these type of studio concepts.